Home Food and Nutrition Study Links Regular Consumption of Sugary Foods to Heart Diseases, Diabetes. As enticing as sugary foods and drinks are to some persons, they could also be very detrimental to the human health, as a new study has shown that the regular intake of sugary foods exposes people to an increased risk of heart diseases, diabetes. According to a study published in Circulation, the journal of the American Heart Association (AHA), it identified a link between drinking more than one can of soda a day and an increased risk of developing heart disease and diabetes. Oxford Dictionary defines sugar as a sweet crystalline substance obtained from various plants, especially sugarcane and sugar beet, consisting essentially of sucrose. Although the AHA recommends 9 teaspoons of sugar per day for men and 6 teaspoons for women, AHA found that an average person in most communities consumed about 19.5 teaspoons, or 82 grams (g) of sugar per day. The study published in the Medical News Today, revealed there are two forms of sugar, which are: Natural sugar and Added sugar. Added sugar refers to any glucose, fructose, and sucrose added to foods and drinks. While natural sugar is referred to as sugars that are found in fresh fruit, vegetables, or milk, as there is no evidence linking these sugars to health problems. 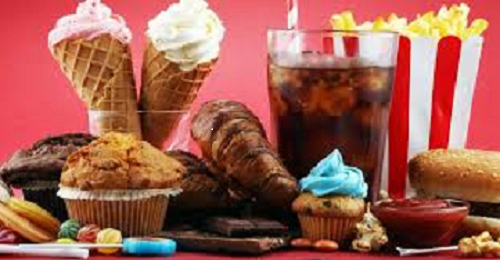 The report also indicated the World Health Organization (WHO) new guidelines on sugary foods consumption, which recommended that adults and children reduce their intake of added sugars to less than 10 percent of their total energy intake. A further reduction to below 5 percent is associated with additional health benefits. Being aware of the existing and added sugar content in foods and drinks is vital to overall health. As it is known that many products have sugar added to them in the modern food market, people must take extra steps to avoid consuming more than the recommended amount. The AHA also stressed that added sugars contribute zero nutrients and are empty calories “that can lead to extra pounds, or even obesity, thereby reducing heart health.” A single teaspoon of sugar is around 4 g.
Some of the foods with added sugars as listed by the report are: soft drinks, chocolates, fast foods, and breakfast cereals.